How much is Kim Hyun Joong Worth? Kim Hyun Joong net worth: Kim Hyun Joong is a South Korean entertainer and the leader of the band SS501 who has a net worth of $5 million. Born on June 6th 1986, Kim Hyun Joong was an ordinary South Korean boy until he decided to drop out of school to become a singer. It was in 2005, when he became a member and the leader of SS501, with the help of DSP Media (formerly DSP Entertainment). After he made his debut with the group, Kim got back to school and graduated in 2006. In 2008, he joined the cast of MBC variety reality show We Got Married along with the beautiful South Korean singer Hwang Bo, who is 6 years his senior. They gained huge popularity acting as a newlywed couple in the show. Furthermore, Kim is widely known for his portrayal of Yoon Ji Hoo in the 2009 Korean hit drama series Boys Over Flowers. For his performance, he earned the "Best Actor Award" at the Seoul International Drama Awards 2009, as well as the "Popularity Award" at the 45th PaekSang Arts Awards. Kim made his solo-artist debut with his Korean mini albums Break Down and Lucky. 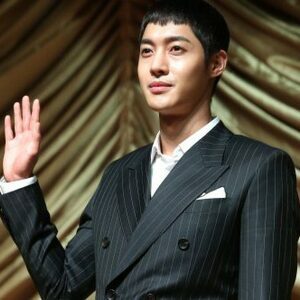 Having garnered several icon awards, Kim Hyun Joong is a true style icon in Korea. Apart from the above, he is also a member of the charity football team FC MEN.